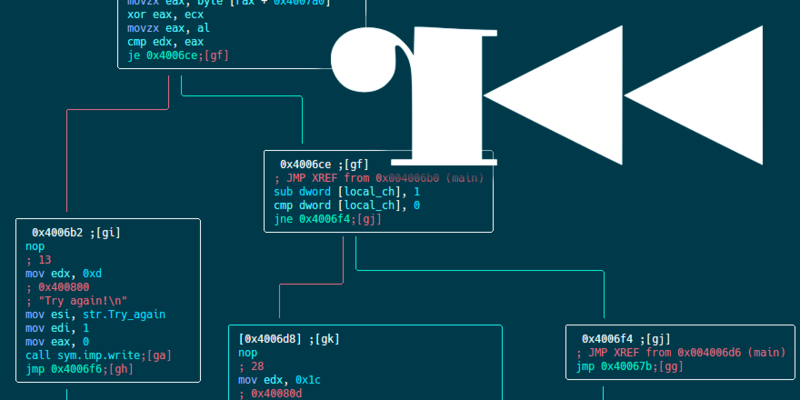 Previously, in the first part of this article, we used Cutter, a GUI for radare2, to statically analyze APT33’s Dropshot malware. We also used radare2’s Python scripting capabilities in order to decrypt encrypted strings in Dropshot. If you didn’t read the first part yet, I suggest you do it now. Today’s article will be shorter, now that we are familiar with cutter and r2pipe, we can quickly analyze another interesting component of Dropshot — an encrypted resource that includes Dropshot’s actual payload. So without further ado, let’s start. Cutter is available for all platforms (Linux, OS X, Windows). You can download the latest release here. If you are using Linux, the fastest way to use Cutter is to use the AppImage file. If you want to use the newest version available, with new features and bug fixes, you should build Cutter from source by yourself. It isn’t a complicated task and it is the version I use. As in the last part, we’ll analyze Dropshot, which is also known by the name StoneDrill. It is a wiper malware associated with the APT33 group which targeted mostly organizations in Saudi Arabia. Dropshot is a sophisticated malware sample, that employed advanced anti-emulation techniques and has a lot of interesting functionalities. The malware is most likely related to the infamous Shamoon malware. Dropshot was analyzed thoroughly by Kaspersky and later on by FireEye. In this article, we’ll focus on decrypting the encrypted resource of Dropshot which contains the actual payload of the malware. Please, be careful when using this sample. It is a real malware, and more than that, a wiper! Use with caution! Since we’ll analyze Dropshot statically, you can use a Linux machine, as I did. As a reverse engineer and malware researcher, the tools I use are super important for me. I have invested hours and hours in creating the best malware analysis environment for myself and chose the best tools for me and my needs. For the last two years, radare2 is my go-to tool for a lot of reverse-engineering tasks such as automating RE related work, scripting, CTFing, exploitation and more. That said, I almost never used radare2 for malware analysis, or more accurately, for analysis of malware for Windows. The main reason was that radare2 command-line interface felt too clumsy, complicated and an over-kill. IDA Pro was simply better for these tasks, a quick inspection of functions, data structures, renaming, commenting, et cetera. It felt more intuitive for me and that what I was searching for while doing malware analysis. And then came Cutter. Cutter is a young project, only one-year-old, and it is the official GUI of radare2 (the first and only GUI to be announced “official”). Cutter is a cross-platform GUI that aims to export radare2’s plenty of functionality into a user-friendly and modern GUI. In this post, I’ll show you some of Cutter’s features and how I work with it. To be honest, Cutter is intuitive so you probably won’t need me to show you around, but just in case. If any of those do not work, check the more detailed instruction page here. Dropshot, also known as StoneDrill, is a wiper malware associated with the APT33 group which targeted mostly organizations in Saudi Arabia. Dropshot is a sophisticated malware sample, that employed advanced anti-emulation techniques and has a lot of interesting functionalities. The malware is most likely related to the infamous Shamoon malware. Dropshot was analyzed thoroughly by Kaspersky and later on by FireEye. In this article, we’ll focus on analyzing how Dropshot decrypted the strings inside it in order to evade analysis. In part 2 of this article, which will be published soon, we’ll focus on decrypting the encrypted resource of Dropshot which contains the actual payload of the malware. It took me three months to finish writing this article. I had so many tasks on my to-do list that sadly this one was pushed down to the bottom of the list. Last weekend I made a promise to myself that until Sunday I’m going to finish writing it, I successfully kept my word and here it is, another radare2 tutorial. Today we’ll solve a very nice challenge, “packedup”, written by ad3l for r2con 2017 competition. 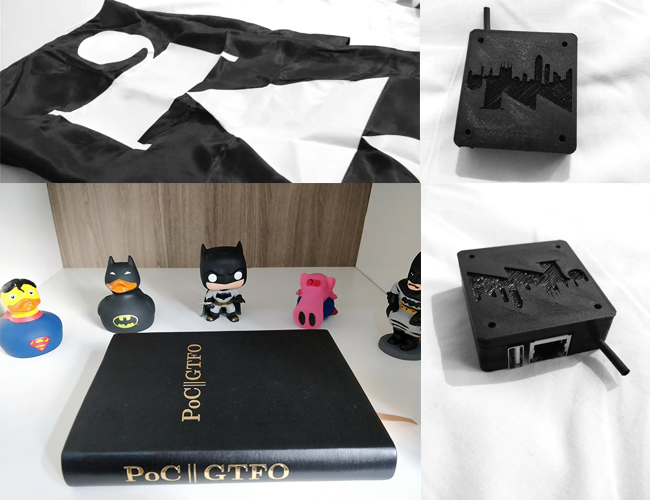 It is not the first writeup that I publish from r2con competition, you can check out “Reverse engineering a Gameboy ROM with radare2” as well, make sure not to miss the cool swags I got from winning the competition. This article is aimed to those of you who are familiar with radare2. If you are not, I suggest you to start from part 1 of my series “A Journey Into Radare2”. So, without further ado, let’s dig into the binary. If you don’t want to install the git version or you want the binaries for another machine (Windows, OS X, iOS, etc.) check out the download page at the radare2 website. And you’ll have the latest version from git. I usually update my version of radare2 in the morning with a scheduled task, so I can wake up to the latest version available. If you’re using radare2 often, I recommend you do the same. First thing to do, obviously, is to execute the binary and get a basic feeling of what we are going to face. 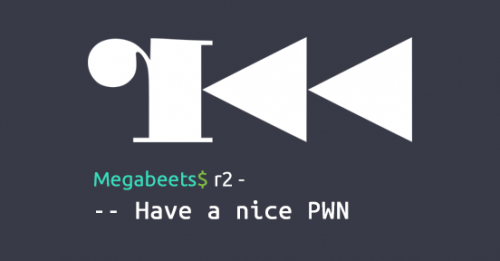 $ ./packedup Welcome to packedup for r2crackmes :) Flag << MEGABEETS Try again! packedup is executed, it requests us to give it a flag. It then probably does some calculations at the backend to see if the inputted flag is the right one. 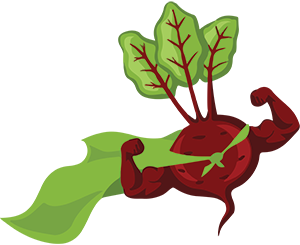 I entered “MEGABEETS” which is likely not the correct flag and finished with the fail message — “Try again!”. I usually begin with executing aa (analyze all) or with aas (to analyze functions, symbols and more). The name is misleading because there is a lot more to analyze (check aa?) but it’s enough to start with for most of the binaries I examined. This time we’ll start straight with aaa to make things simpler and due to the binary’s small size. You can also run radare2 with the -A flag to analyze the binary straight at startup using aaa (e.g r2 -A ./packedup). Note: as I mentioned in the previous posts, starting with aaa is not always the recommended approach since analysis is very complicated process. I wrote more about it in this answer — read it to better understand why. The i command used for getting info about the opened file. It’s a wrapper around rabin2 which is an information extractor tool in the radare2 framework. radare2 offers us tons amount of information about the binary. Check out i? to list the information’s subcommands. packedup is a 64-bit stripped ELF binary. Cool. Let’s move on. A month ago in Barcelona I was attending to r2con for the first time. This is the official congress of the radare2 community where everyone can learn more about radare2 framework and dive deep into different aspects of reverse engineering, malware analysis, fuzzing, exploiting and more. It also the place where all of us, the contributors and developers of radare2, can meet, discuss and argue about every other line of code in the framework. This was the second congress of radare2, after the success of the first congress in last year which was also a celebration for radare’s 10 years old birthday. This year the conference was bigger, fancier and probably organized much better. r2con was four days long, starting at September 6 and lasted until September 9. The first two days were dedicated to training and took place at Universitat de Barcelona. The other two days were talks days and took place at the MediaPro. During r2con this year there was a Crackmes competition where all the attendees were given with the same 5 challenges and had to publish a writeups to all the challenges they had solved. The scoring was based on the quality of the writeups along with the quantity of solved challenges. I won the competition and got myself some cool swag! I thought of sharing some of my writeups with you, so you can taste a bit from what we had in the competition and so that others, coming from google, twitter and such, could learn how to use radare2 for solving different challenges. This article is aimed to those of you who are familiar with radare2. If you are not, I suggest you to start from part 1 of my series “A Journy Into Radare2”. Let’s use radare2 to reverse engineer a Gameboy ROM! 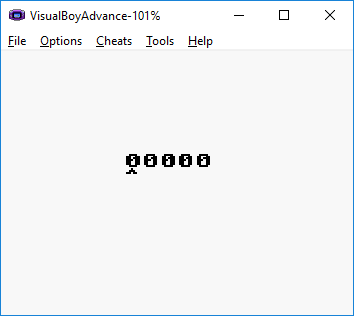 This post will describe how I solved simple.gb, a Gameboy ROM challenge written by @condret. It was actually my first time reversing a Gameboy ROM — and it was awesome! The i command gives us information about the binary. Check i? for more commands. Tilde (~) is r2’s internal grep. Surprise, surprise, it is a Gameboy ROM — dah. After reading a bit about its instruction set we should go to the mission. 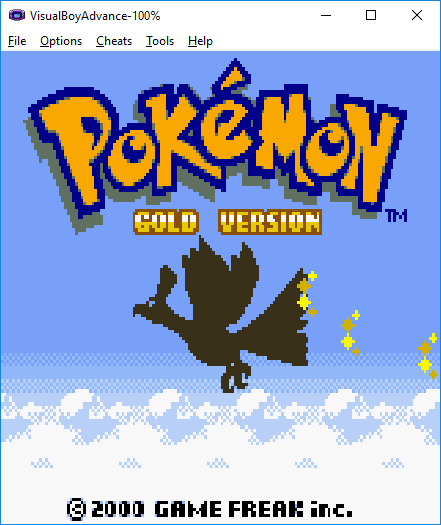 The obvious thing to do is open the ROM in an Gameboy emulator. I downloaded the good old emulator I used back in the days when I played Pokemon: VisualBoy Advance. Cool! It’s a simple game where, by using the arrow keys, you increase/decrease 5 digits. We ‘simply’ need to find the correct password. Welcome back to the second part of our journey into the guts of radare2! In this part we’ll cover more of the features of radare2, this time with the focus on binary exploitation. A lot of you waited for the second part, so here it is! Hope to publish the next part faster, much faster. If you didn’t read the first part of the series I highly recommend you to do so. It describes the basics of radare2 and explains many of the commands that I’ll use here. It’s really important to be familiar with these topics because I won’t get deep into them, or even won’t briefly explain some of them. $ git clone https://github.com/radare/radare2.git # clone radare2 if you didn't do it yet for some reason. We have a long journey ahead so while we’re waiting for the update to finish, let’s get some motivation boost — cute cats video! You can download the binary from here, and the source from here. The functionality of the binary is pretty simple and we went through it in the previous post — It asks for user input, performs rot13 on the input and compares it with the result of rot13 on the string “Megabeets”. Id est, the input should be ‘Zrtnorrgf’. $ ./megabeets_0x2 . :: Megabeets ::. Show me what you got: blablablabla Nop, Wrong argument. $ ./megabeets_0x2 . :: Megabeets ::. Show me what you got: Zrtnorrgf Success! It’s all well and good but today our post is not about cracking a simple Crackme but about exploiting it. Wooho! Let’s get to the work. As you can see in the marked lines, the binary is NX protected which means that we won’t have an executable stack to rely on. Moreover, the file isn’t protected with canaries , pic or relro.